Seasons are wonderful thing (in England however it is sometimes difficult to differentiate between Summer & Winter!) I love the Summer months as much as anyone - getting my chicken legs out and enjoying the bbq's and beer gardens. 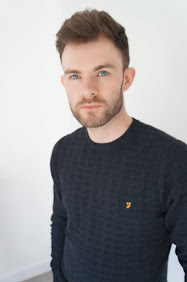 However Autumn & Winter offer up the opportunities to get by the open fires, layering up, eating hearty warming meals, winter walks and cosying up on the sofa with the latest box sets or must read page turner. Over the last couple of years we have had made a stay in a wooden lodge in Yorkshire a yearly tradition, the lure of a location in the heart of one of the most beautiful places in the world is hard to resist. At the end of each days walking we were able to put our feet up and warm ourselves in front of the log burner. There is nothing quite like it, the heat, the sight and sound of the logs burning through & crackling away, accompanied by that beautiful smell of the smoking wood is one of the best experiences you can have. In the absence of having a log burner or open fire in our new build house (there is a plan to have one) we have to create our cosy atmosphere in other ways. 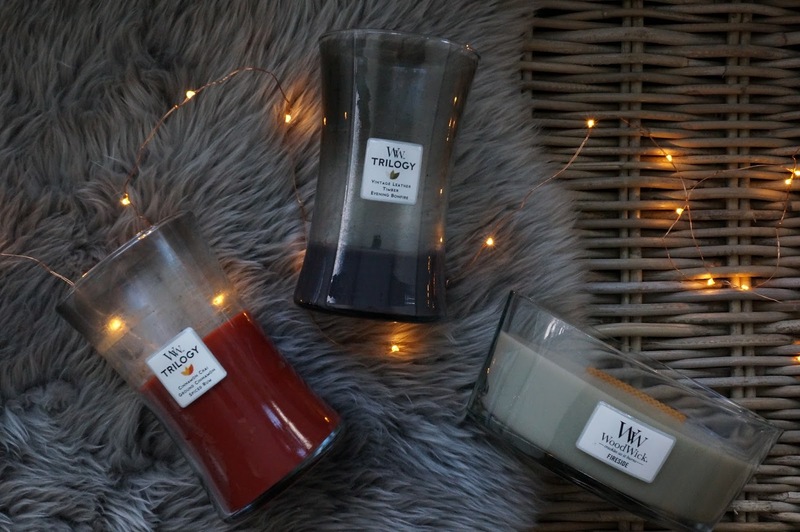 It was on our first trip to York that we came across a little shop on The Shambles stocking a range of candles by Woodwick - who have fast become my favourite candle brand. I don't know what it is, maybe because my Mum always used to love having candles or incense burning. But I can't resist having a whiff of several candles when they are on display, picking up each one that I like the sound of and hoping that it matches the name. 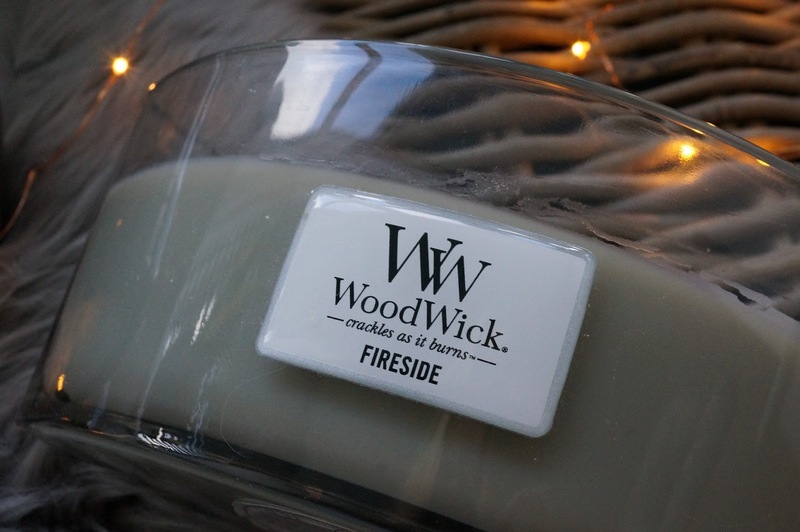 Which brings me to one of Woodwick's signature scents which I just cannot get enough of... Fireside. It literally is the closest thing you can get to the experience of having the smell, sound and sight of a wood burning fire. They come in a couple of shapes/sizes and styles but I feel that the wider 'hearthwick' option is the better for this particular scent. The reason being the unique feature of the Woodwick range is the crackling wick made of natural wood. When lit, it sparks and crackles away, creating the sound that provides some authenticity to the fireside name. There hasn't been another candle that I have come across that offers such a impactful smell and truly matches the name. 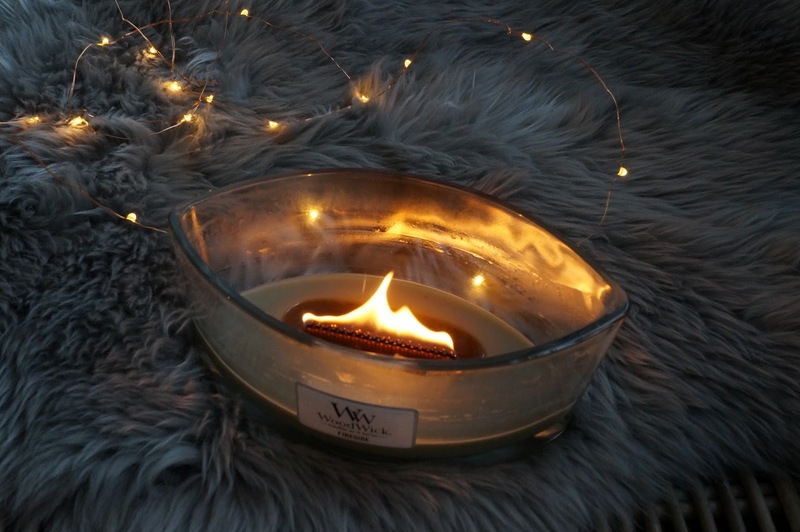 With the lights down the Woodwick offers a lovely glow to the room, the smell emanates throughout the space, not just in the room you are in but it drifts throughout the hallway and up the stairs, which is pretty incredible from a just a simple candle. In addition to this fragrance, for the season I highly recommend two of their trilogy ranges, which have three layers to create some truly gorgeous room fragrances. The first being the Frontier Trails which is made up of vintage leather/ timber & evening bonfire. The second the Exotic spices trilogy combining cinnamon chai/ ground cinnamon & spice rum. Both of which are perfect accompaniments to your interior this Winter & Festive season. All three I have featured here can be found on the Woodwick website. 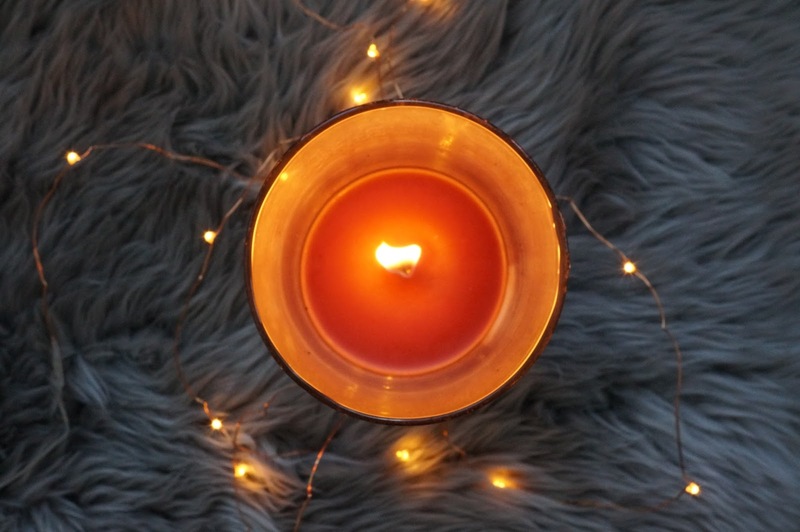 So as we settle down in front of the tele or read a good book, make sure you add these candles to your lounge arrangement, to add a lovely smell and atmosphere this season.